Electric car maker Tesla on Tuesday announced plans to raise at least $1.6 billion (and as high as $1.84 billion) in a new offering of convertible senior notes to fund its planned battery producing “gigafactory” and to continue development of its third-generation lower priced electric car. The company said it plans to directly invest $2 billion into what it’s calling a gigafactory, one that would cost between $4 billion and $5 billion to build. Tesla partners are supposed to put up the rest of the funds for the factory, and previous reports have named Panasonic and Sanyo as some of those partners. Tesla said the future growth of its cars — which are powered by thousands of lithium-ion batteries packaged up into a battery pack — are constrained by world battery production. Musk has said that to produce 500,000 of its Gen-III cars per year, Tesla would need to build a factory that would have the equivalent of all of the world’s current production of lithium-ion batteries made just for Tesla. Tesla wants to be able to build 500,000 cars per year by at least 2020, but isn’t expected to ramp up production until 2017. The battery factory will enable Tesla to lower the cost of the battery pack (per kilowatt hour) by 30 percent, Tesla said in a release. The total battery pack output will be 50 GW per year by 2020. 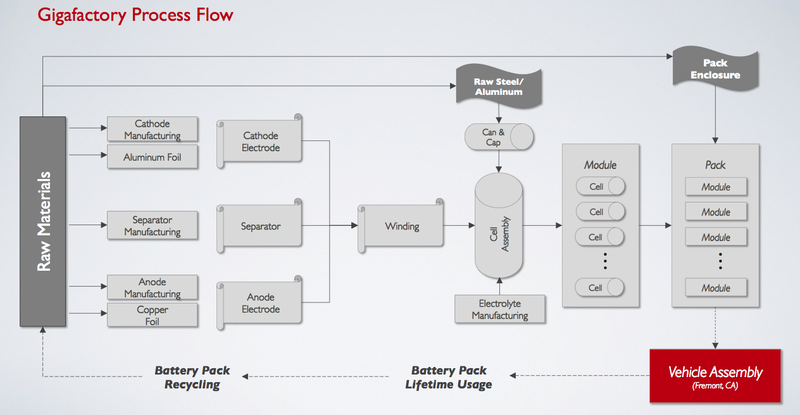 The battery cell output will be 35 GW per year. Tesla hasn’t yet chosen a location for the 500 to 1,000-acre factory but says some contenders include Nevada, Texas, Arizona and New Mexico, and the factory will be built to use substantial clean power. The factory could create 6,500 jobs, said Tesla. Half of the notes will be due in 2019 and the other half in 2021. Another $240 million will be made available to the underwriters to purchase in 30 days, meaning the offering could be up to $1.84 billion. 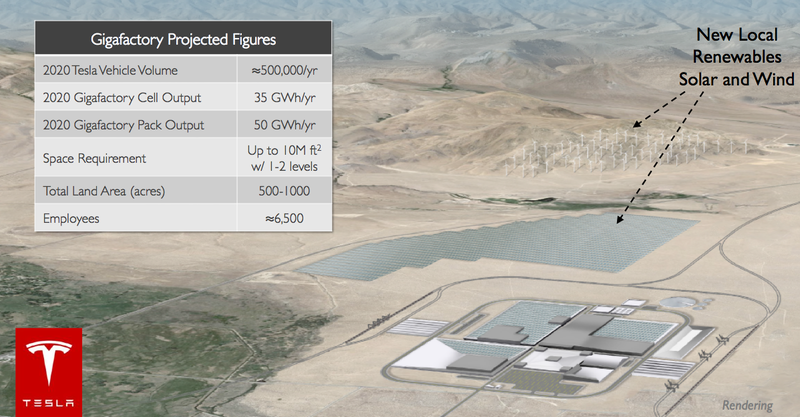 More financial details of the offering can be found on Tesla’s website. SpaceX is looking to build a Spaceport in Brownsville Texas. I could see Elon leveraging that and this battery plant to get some real incentives from the Texas Government. @Danox, why do you say that? inside knowledge?